The National Energy Board's approval of Kinder Morgan's Trans Mountain pipeline has done little to quell the concerns of British Columbia's politicians and First Nation groups about the environmental impacts of the project. 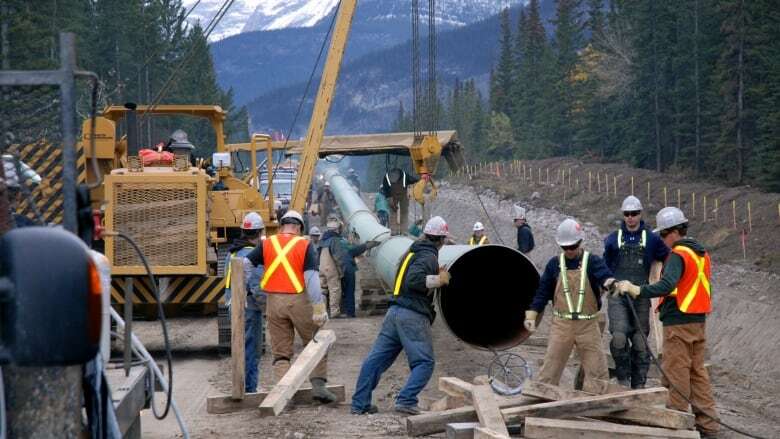 The National Energy Board may have given tentative approval to Kinder Morgan's plans to expand its Trans Mountain pipeline. But British Columbia's municipal, provincial and First Nations leaders made it clear the NEB's okay has done little to quell their concerns about the potential environmental and cultural impacts of the project. B.C. Environment Minister Mary Polak said B.C. won't be supporting the project at this point. Even if the company meets the 157 conditions the NEB has placed on the project, Polak said the expansion would still fall short of the five requirements B.C. has put in place for its approval of any pipeline project. "We still have a long way to go with respect to marine spill preparedness and response," Polak said. "There is obviously significant work that needs to be done with First Nations." Kinder Morgan has applied to twin nearly 1,000 kilometres of existing pipeline in order to nearly triple its capacity to move bitumen from the Alberta oil sands to a waterfront shipping terminal in Burnaby. In approving the project, the NEB said the expansion is "in Canada's public interest": injecting billions into the economy, creating jobs and providing Canadian producers wider access to a global market. The approval is contingent on Kinder Morgan meeting the board's recommendations, which include 49 environmental requirements. But in recognizing the project's benefits, the NEB also acknowledged the "significant" impact the project would have on greenhouse gas emissions and the southern resident killer whale population. The board also noted what it called an "acceptable" level of risk of a marine spill. British Columbia will now conduct its own environmental assessment into the Trans Mountain project. The province hasn't put a timeline on that process, but has acknowledged that a lot of work remains to be done. B.C. will use information gathered as part of the NEB's process, but could also request more as part of its own review. A crucial part of the provincial review will involve consultation with 57 First Nations along the project route. Many First Nations communities lashed out against the proposal. One of the major concerns from many coastal communities is the damage a spill could cause to marine and wildlife. The NEB's report details the concerns and fears of Aboriginal intervenors about both the environmental and the cultural impacts of the expansion. And one of the "significant" adverse effects identified by the board is to the "Aboriginal cultural use" associated with Southern resident killer whales,which will likely feel the impact of increased tanker traffic. The board says it is confident it has met constitutional requirements to consult in a manner which recognizes and reaffirms existing Aboriginal and treaty rights. But one group of First Nations has vowed to fight the Trans Mountain project in court if it is granted approval by the federal cabinet. 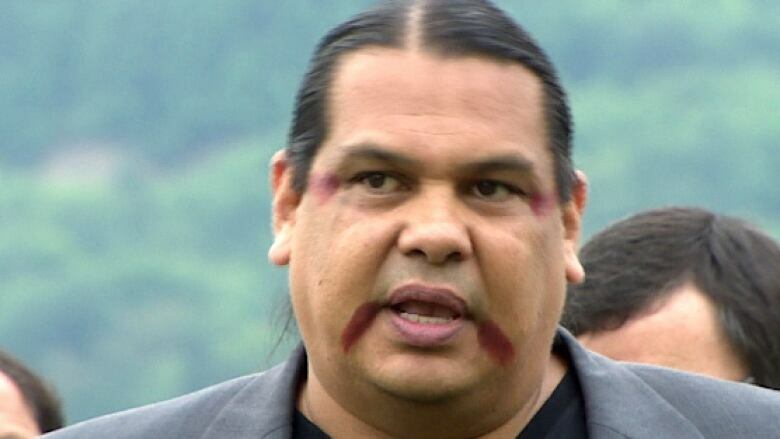 ​​​Rueben George, Tsleil-Waututh Nation Sacred Trust Initiative project manager, says First Nations have had a 97 per cent win rate in 170 legal cases dealing with similar principles. "We have veto power over this industry and we are going to go to court and make sure we do all means possible to stop it," George said. "It's not if a spill will happen, it's when and we can't have that risk." The Trans Mountain pipeline has provided a rare point of agreement in B.C. 's fractured political landscape — among politicians anyway. The Greater Vancouver Board of Trade applauded the NEB's approval, noting the project's potential "to reach into new markets with customers who pay higher prices, generate thousands of high-paying jobs, and create billions of dollars in government revenue for both the country and British Columbia." But many mayors who voiced their opposition to the expansion ahead of the NEB's hearings said they were still committed to putting it on ice. Vancouver mayor Gregor Robertson said he was "disappointed" but not surprised to see the board give its stamp of approval. He said the possibility of a "600 per cent increase in oil tanker traffic" raises real concerns about oil spills which are not addressed in the NEB report. He has promised to "advocate vigorously' against the project. "This project is a direct threat to Vancouver's successful economy and environment," Robertson said. "We see this as a call to action."